All the Ways How to Earn AMEX Points in 2019! One of the best, most flexible rewards programs is American Express Membership Rewards. You can use American Express points to book travel through the AMEX Travel Portal, or you can transfer your points to airline and hotel partners like Marriott / Starwood, Delta, and British Airways. With various welcome offers and great bonus categories, it’s easier than ever to build up a large balance of AMEX Membership Rewards points. For example, The Business Platinum® Card from American Express is currently offering up to 75,000 AMEX Membership Rewards points bonus after meeting tiered minimum spending requirements. Transfer AMEX Membership Rewards Points to American Express’ Transfer Partners and Fly Around the World for Free! We’ll show you all the ways how to earn AMEX points! There are several AMEX cards that earn AMEX Membership Rewards points, including personal and small business cards. We’ll break down each card for you to see which are the best fit for your spending habits! One of the best premium travel cards is the Platinum Card® from American Express. When you apply for the AMEX Platinum card, you’ll earn 60,000 AMEX Membership Rewards points after spending $5,000 on purchases in the first 3 months of account opening. The $550 annual fee is NOT waived the first year (See Rates & Fees). But the credits you get with the card can make up for much of the annual fee! 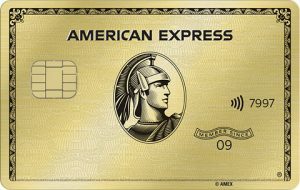 One of my favorite cards right now is the American Express® Gold Card. With the AMEX Gold you’ll earn 35,000 AMEX Membership Rewards points after spending $2,000 on purchases in the first 3 months of account opening. My wife and I spend ~$150 per week at grocery stores. That means we’ll earn ~31,000 AMEX Membership Rewards points per year on our grocery spending! Add in $100 a week at restaurants, and there’s another 20,000 AMEX Membership Rewards points! That’s 50,000+ points per year! If you know how much you typically spend in these categories, go ahead and multiply that number by 4 to see how many points you’ll earn every year. The annual fee is $250 (See Rates & Fees). But new bonus categories and up to $120 dining credit – in addition to a $100 credit for airline incidentals – pretty much negate the annual fee on their own! The Business Platinum® Card from American Express is similar to the personal version, however, it does have a few differences. 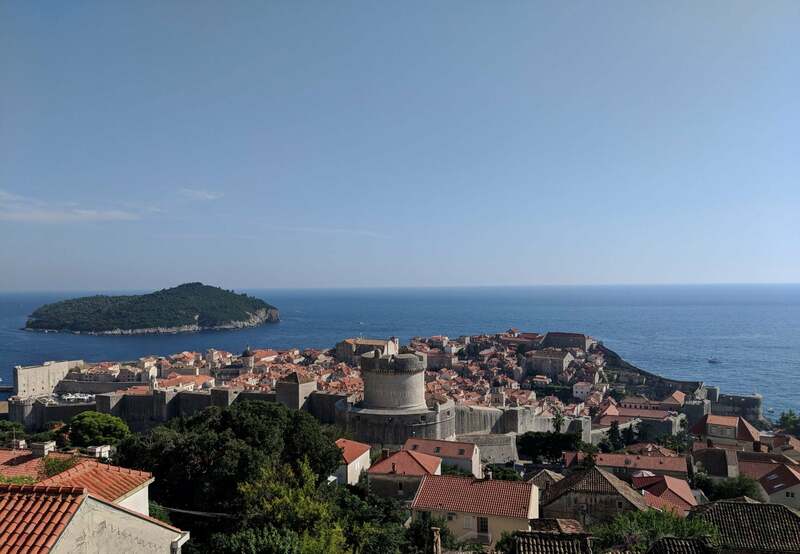 The first is right now with the AMEX Business Platinum, you’ll earn up to 75,000 AMEX Membership Rewards points after meeting tiered spending requirements. You’ll earn 50,000 AMEX Membership Rewards points after you spend $10,000 on purchases within the first 3 months of account opening and an additional 25,000 AMEX Membership Rewards points after you spend an additional $10,000 on qualifying purchases within the same time frame. This is a great for small businesses looking to quickly build the AMEX Membership Rewards balance! Note: Starting February 2019, the AMEX Business Platinum annual fee increased to $595 (See Rates & Fees). But you’ll get additional benefits, including complimentary access to WeWork for a year and up to $200 in Dell statement credits. Here’s team member Harlan’s take on the changes and why he’s applying for the AMEX Business Platinum very soon. The AMEX Business Gold card comes with 35,000 AMEX Membership Rewards points after spending $5,000 on purchases in the first 3 months of account opening. And you will earn 4 AMEX Membership Rewards points on 2 categories where you spend the most each month (capped at the first $150,000 in combined purchases each calendar year, then 1 point per $1). The AMEX Business Gold card comes with a $295 annual fee (See Rates & Fees). But you’ll also get statement credits for qualifying purchases of G Suite and ZipRecruiter when you use your AMEX Business Gold within the first 12 months of card membership. Both offers are good for 1 free year. With the AMEX EveryDay® Preferred Credit Card, you’ll earn 15,000 American Express Membership Rewards points after spending $1,000 on purchases with your new card in the first 3 months. That’s a nice way to earn AMEX Membership Rewards points with a pretty small spending requirement. Also, AMEX offers a frequent transaction bonus on this card. If you make 30 or more purchases in 1 billing cycle, you’ll receive 50% more points. That means you’ll earn 4.5X points at supermarkets, 3X points at gas stations, and 1.5X on everything else! The AMEX Blue Business Plus Credit Card does NOT currently have a welcome offer. However, it does not have an annual fee (See Rates & Fees), which means it’s worth applying for if you are looking to boost your AMEX Membership Rewards balance. That’s because you will earn 2 AMEX Membership Rewards points per $1 on the first $50,000 in purchases per year (1X AMEX Membership Rewards point per $1 on all purchases after that). Earning 2X points for every $1 spent with no annual fee is a great deal and a good card for any small business owner to have if they are looking to earn AMEX Membership Rewards points on daily spending that doesn’t count towards any AMEX bonus categories. You’ve probably seen the AMEX Business Green Rewards Card as its classic design is pretty iconic. With this card, you’ll earn 5,000 AMEX Membership Rewards points after your first purchase within the first year of card membership. After that, you’ll earn 2X points per $1 on eligible purchases made when you book on the American Express Travel website and 1X point per $1 on all other eligible purchases. The earning potential isn’t great with this card, however, the $95 annual fee is waived the first year, which is a plus (See Rates & Fees). The quickest way to give your AMEX Membership Rewards points balance a big boost is with card welcome offers and bonus categories. However, there are a few ways you can earn even more Membership Rewards points which we’ll go through below! AMEX Offers can save you lots of money on purchases you were going to make anyway. AMEX cardholders are targeted for certain offers, which you need to activate in order to take advantage of the extra points or cash back when you make a qualifying purchase. AMEX Offers come in several forms, including earning additional Membership Rewards Points at certain retailers, or earning a set bonus when spending a minimum amount at a retailer. For example, the offer could be “Get one additional Membership Rewards point for each $1 you spend” at a certain store until the expiration date on the offer. The other type of AMEX Offer you might see would say something like “Spend $350, get 6,000 Membership Rewards Points” which would mean you’ll earn a 6,000=point bonus once you meet the minimum spend requirement. You can really start to rack up the Membership Rewards points when using AMEX Offers. These AMEX Offers Can Help You Earn a TON of AMEX Membership Points for Purchases You’d Already Make at Stores like BJ’s and Staples. Keep in mind that the bonus points or statement credits you receive from AMEX Offers are applied after your purchase. So you can take advantage of any other money-saving tactics without worrying that they won’t combine with AMEX Offers. You can use shopping portals, promotional codes, coupons, and more! American Express lets you send referrals for cards you have to friends and family. When your friends are approved, you earn Membership Rewards points! 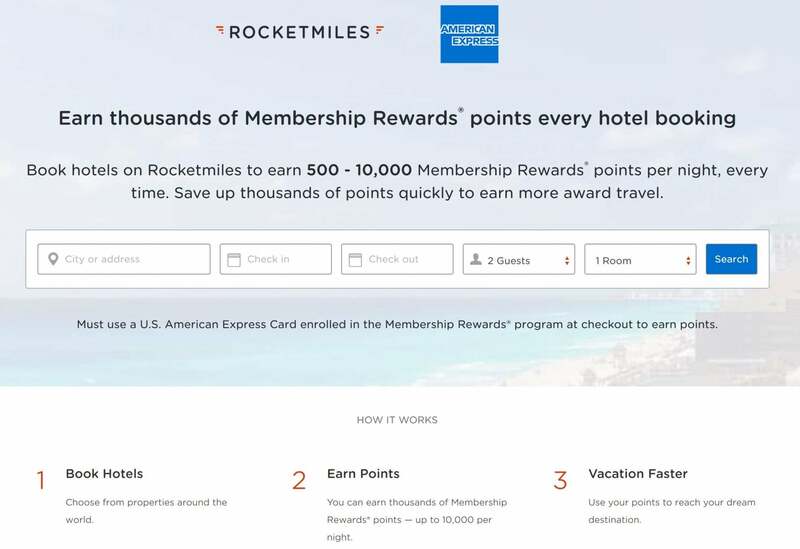 AMEX and Rocketmiles have recently teamed up to allow AMEX Membership Rewards cardholders to earn 500 to 10,000 AMEX Membership Rewards points per night when they book hotels on Rocketmiles.com. You’ll need to use an American Express card enrolled in the Membership Rewards program at checkout to earn points. I did a quick search for hotels and found that I could book a $275 hotel stay at the Hyatt Regency in San Fransisco this month, and I’d earn 6,000 AMEX Membership Rewards points. That’s an earning rate of ~22X Membership Rewards points per $1! I was able to find this hotel cheaper at other websites, so you definitely want to do your research before booking. Earn Lots of Extra Membership Rewards Points by Booking Hotel Stays With Rocketmiles! However, if the price is similar, consider booking through Rocketmiles to earn lots of AMEX Rewards Points! This is an interesting new partnership that I’m excited to explore. If you have an AMEX charge card like the AMEX Gold Card, AMEX sometimes sends out targeted offers to earn either 5,000 or 10,000 AMEX Membership Rewards points by enrolling in AMEX Extended Pay. Normally, you’re required to pay your full charge card balance every month, and if you don’t, there are substantial penalties. But AMEX Extended Pay allows you to carry a balance if you meet certain conditions. These offers are sent by snail mail and email so be on the lookout! This can be a great way to earn some extra bonus points on purchases you’ve already made! You can read more about how team member Meghan recently earned 10,000 AMEX Membership Rewards points by enrolling in AMEX Extended Pay. There are a lot of ways to make the most of your AMEX Membership Rewards points earning. AMEX Membership Rewards points are extremely valuable because you can transfer them to any of AMEX’s airline and hotel transfer partners. You can also book travel directly through the AMEX Travel Portal. Don’t forget to enroll in AMEX Offers in order to earn bonus points! Also, use the refer a friend program to earn bonus points and give your friends a boost as well. If you have an American Express card already, do you have any additional tips and tricks you use to boost your point balance? Let us know below! For rates and fees of the Amex Business Green card, please click here.